Sunshine Week is a national initiative that raises awareness about the importance of government transparency and freedom of information. Government transparency creates accountability and keeps citizens informed about how their government is operating. A historical belief in checks and balances led the 89th United States Congress to enact the Freedom of Information Act (FOIA) in 1966. FOIA is the law that allows citizens to access federal agency records, information and documents. Essentially, this iconic law keeps the public in the know about their government. Under the prism of openness and transparency, Sunshine Week always coincides with President James Madison’s birthday as well as National Freedom of Information Day on March 16. As the fourth president and author of the First Amendment, Madison was a key proponent of enacting proper checks and balances in government. As the author of the popular essay, Federalist No. 51, Madison informs the reader of the means by which appropriate checks and balances can be created in government. As a key proponent of this theory, Madison advocates for a separation of powers, thereby suggesting the avoidance of any one group controlling all decisions of a society. By dividing power between multiple branches of government, there’s an implicit assurance a single group won’t be able to stockpile and stifle information. The other government bodies will have the ability to challenge any form of overreaching censorship. The purpose behind this highly referenced essay is to inform readers why safeguards are necessary and how maintaining separate branches of government protects the rights of the people and of the country. Today, technological advancements are changing how society interacts with government. As technology continually disrupts how government agencies serve its constituencies in new and innovative ways, many government leaders wonder if this digital transformation will be resource-intensive. Will their organizations be nimble enough to keep up with different levels of public demand? Initiatives like Sunshine Week are a positive sign that the movement to advocate for a transparent government still exists. We imagine that President Madison would be proud of the continued preservation of the Bill of Rights. It is intriguing to ponder President Madison’s perspective on the government of the present day. Would he be in awe of the power of the government in everyday life? Delighted at the speed at which information travels? We hope that he would think highly of the progress technology has made in making information accessible to citizens. 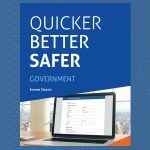 Want to learn more about implementing innovative technology solutions in your government organization? 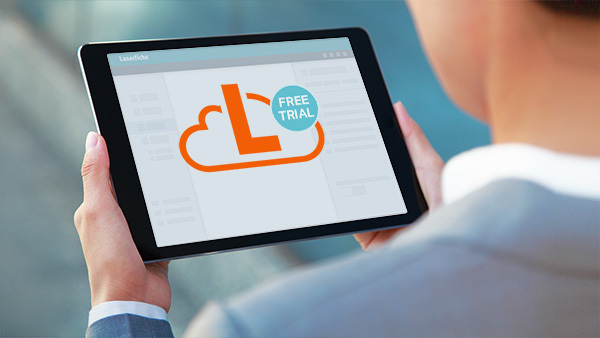 Get a free demo of Laserfiche.